Among them 276 bln will be allocated from federal budget, and business needs to raise remaining amount. 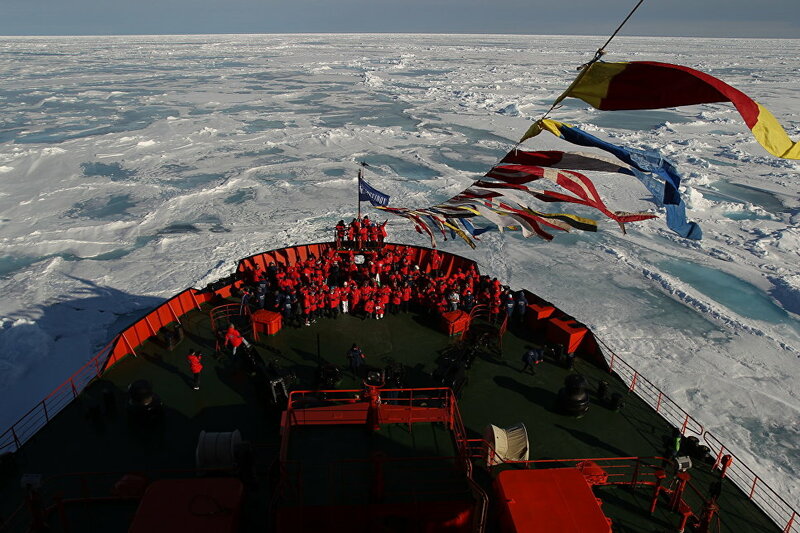 Federal project “The Northern Sea Route” includes measures to ensure the safety of navigation on the Arctic route. 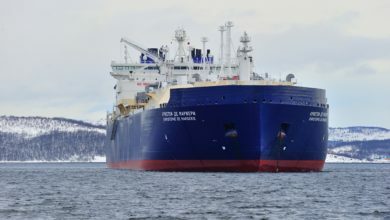 There is construction of Global Maritime Distress and Safety System (GMDSS) facilities; navigation and hydrographic shipping support; building of a base and a berth for SAR vessels harborage in Murmansk; building of hydrographic, pilot, SAR vessels of high ice class; construction of 4 icebreakers run on LNG for the providing of year-round LNG shipments from Sabetta port. 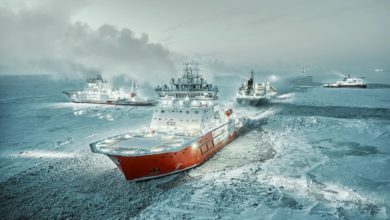 Besides that, the plan for icebreaking fleet renovation for years 2019-2024 includes the replacement of 8 overaged icebreakers and construction one more icebreaker. These steps should provide year-round work of freezing ports. It is expected that cargo volume on the NSR should increase from 9,9 mln t in 2018 to 80 mln t in 2024. 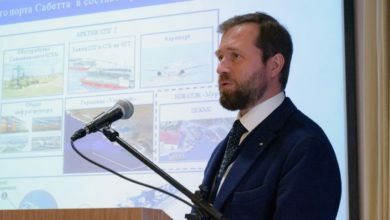 In order to achive the numbers, it is intended to develop port infrastructure that includes the construction of LNG and gas condensate terminal “Utrenniy” in Sabetta port and also reconstruction of shipping approach channel to the port. 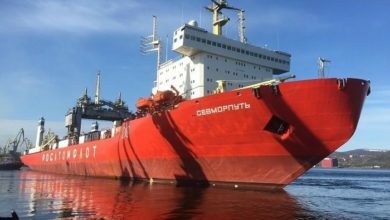 According to the Comprehensive plan of the Russian Government, after the all above named steps, the capacity of Russian ports along the NSR will be increased by 21,6 mln t up to year 2024 and cargo volume should grow to 80 mln t per year. 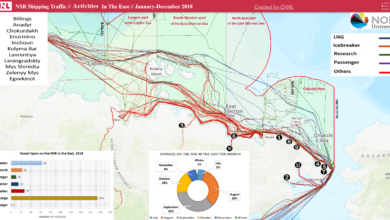 At the moment, according to the Deputy Director of ROSATOM and Director for the Northern Sea Route (NSR) Directorate, in order to achieve that cargo volume, it is not enough about 20 million tons. 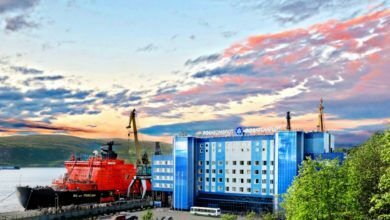 This shortage is planned to fill by shipping 10 million tons of coal from Taimyr peninsula and oil from Payyakhskoe field. CHNL IO: CHNL Information Office Information quoted in this webpage has been obtained from a variety of sources. Whilst every effort has been made to ensure that details are correct, Center for High North Logistics cannot provide any guarantees thereof. Moreover, neither CHNL nor any of its offices and employees accept any responsibility or liability in negligence or otherwise, howsoever caused, as a result of a visitor to our web site’s relying on the information contained herein.